Elusive Bloodstock have announced the acquisition of FALCO from Haras du Grand Chesnaie to join their stallion roster for 2019 and beyond in a deal brokered by Richard Venn Bloodstock. A proven Group 1 sire of both flat and National Hunt horses, he counts Cheltenham Festival Grade 1 winner PEACE AND CO and ODELIZ a winner of the Group 1 Prix Jean Romanet amongst his best horses. With a lifetime winners to runners percentage of 56% his top performers in 2018 on the flat include the Group 3 winner XENOBIA and the improving French Listed winner MAIFALKI. His 2018 National Hunt horses include three-time Listed winner over hurdles at Autueil, the Grade 2 placed and 156 rated, BEAU GOSSE. A top class race career saw him win the Group 1 Poule d’Essai des Poulains at Longchamp by 3 lengths beating Group 1 winners and subsequent sires Rio De La Plata, Thewayyouare, Tamayuz and Paco Boy. 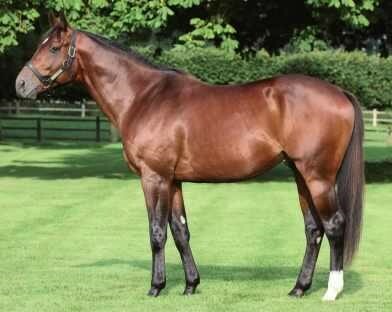 By sire of sires PIVOTAL who had a memorable weekend with 3 Group winners and as broodmare sire of Group 1 Prix de l’Abbaye de Longchamp winner Mab’s Cross and One Master winner of the Group 1 Prix de la Foret, he is a half-brother to Group 3 winner Iron Lips. Falco will stand at £3,000, Oct 1st SLF and joins Elusive Bloodstock foundation stallion Sun Central whose 2019 fee has been announced as £2,000, Oct 1st SLF. For all enquiries please contact James Gray on +44 (0)7743 042742. Some changes have been made to the National Hunt program and with it, the series that the European Breeders’ Fund support, have also been amended. The first EBF supported National Hunt races of the 2018/ 19 season will be run at Worcester on 11th October. Trainers and owners should be aware that in order to run in the high-value end of season finals of the EBF series, all entrants must now be eligible by running to the required place in a qualifying race. Today’s edition of the Racing Calendar has a pull out detailing all National Hunt series in the country with qualification criteria. The changes affect: EBF Mares’ National Hunt Flat Race Series, EBF Mares’ National Hunt Novices’ Handicap Hurdle Series and the EBF/ TBA Mares’ Novices’ Steeple Chase Series. Details of the qualifying races can be found on the races section of the EBF website; qualification criteria are shown below and on the Race Series section of the BHA Racing Admin website where a list of qualified horses will also be published. The E.B.F. & T.B.A. 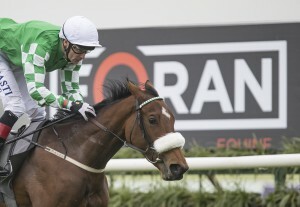 Mares’ Novices’ Steeple Chase Series culminates in the final to be run over two miles about five furlongs at Cheltenham on Thursday, April 18th, 2019. Qualification for the final requires horses to have finished in the first eight in an E.B.F. and T.B.A. Mares’ Novices’ Steeple Chase Qualifier during the current season. The E.B.F. Mares’ National Hunt Flat Race Series culminates in the final to be run over about two miles at Sandown Park on Saturday, March 9th, 2019. The E.B.F. Mares’ ‘National Hunt’ Novices’ Hurdle Series culminates in the final to be run over two miles about four and a half furlongs at Newbury on Saturday, March 23rd, 2019. Qualification for the final requires horses to have finished in the first six in an E.B.F. Mares’ ‘National Hunt’ Novices’ or Maiden Hurdle Race Series Qualifier during the current season. The E.B.F. ‘National Hunt’ Novices’ Hurdle Series culminates in the final to be run over two miles about four furlongs at Sandown Park on Saturday, March 9th, 2019. Qualification for the final requires horses, prior to March 4th, to have been placed first, second, third or fourth in an E.B.F. ‘National Hunt’ Novices’ or Maiden Hurdle race Series Qualifier during the current season. 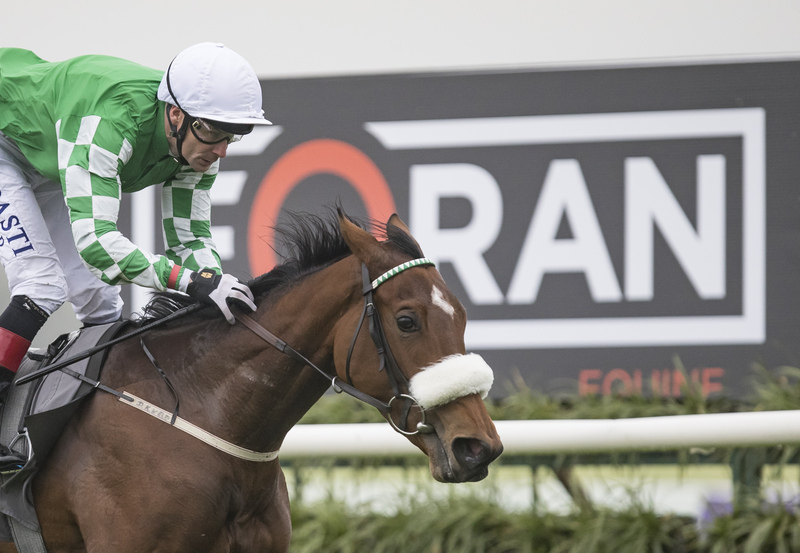 64 horses are entered for the final of the Foran Equine Irish EBF Auction Series at Naas Racecourse, on Sunday October 21, with total prize-money of €120,000. It is a timely reminder, before the yearling sales start next week, that horses purchased for €72,000 or less will be eligible for the series in 2019. The entries include six winners from the qualifying legs of the series including the Ger Lyons-trained Kestral Prince and Burmese Waltz. Lyons, who is a great supporter of the series is also responsible for a further six more entries. Jessica Harrington has five entries with her Gowran Park winner, Dragon Roll, possibly the pick of the quintet at this stage. Trainer Sheila Lavery, who won this event in 2015 with Sevenleft, has four entries engaged this time round. The Foran Equine Irish EBF partnership has significantly boosted prize-money and made the auction series a lucrative proposition for trainers and owners. The series is designed to create wide-scale opportunities for horses purchased as a yearling or a 2yo at public auction for €72,000 or less, with allowances for fillies and horses purchased at a lower auction price. Nessa Joyce (Manager, Irish EBF), John O’Connor (Chairman, Irish EBF), Gareth Connolly (Sales and Marketing Director, Connolly’s RED MILLS) and Tom Mullins, Trainer. 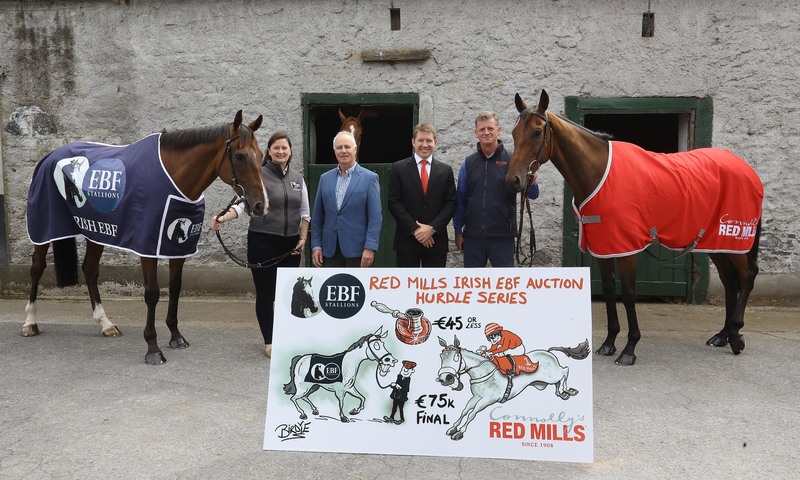 Irish European Breeders’ Fund today announced Connolly’s RED MILLS as co-sponsor of the Irish EBF NH Auction Hurdle Series that will run from September 2018 until April 2019. The series gets underway at Listowel on September 11th with a €20,000 maiden and finishes in April 2019 with a valuable €75,000 final and total prize-money of €355,000. The series will consist of 14 maiden and novice hurdle races from September 2018 to April 2019, each worth a minimum of €20,000, with a final in April worth €75,000. Entry into the final is limited to horses which have run in one of the previous races in the series. The conditions will specify that all horses must be by an EBF registered stallion and bought as an unraced three or four-year-old at a recognised National Hunt Store sale for €45,000 or less, with weight allowances depending on purchase price. In addition, the ITBA have agreed to boost the series by including the €5,000 Weatherbys/ITBA NH Fillies Bonus Scheme for all races in the series. Gareth Connolly, Sales and Marketing Director at Connolly’s RED MILLS said: “This is more than a sponsorship, this is our direct contribution back to the industry that supports us 365 days of the year. We understand the challenges that trainers and owners are facing and felt this was another perfect opportunity to partner with the Irish EBF to deliver another valuable series. We have had remarkable success with Irish EBF and our partner supplement company Foran Equine, seeing huge interest and participation in the Foran Equine Irish EBF Auction Series. 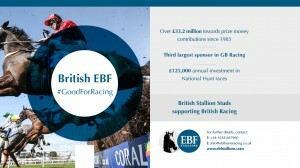 The aim is to do the same now on the National Hunt side with RED MILLS.